The best kind of pizza is free pizza. There's no arguing about that. But when it comes down to the nitty gritty of the many different styles of pizza out there, that's when things get a lot less simple. Making a decision on whether to get a Neapolitan pie or a Sicilian slice can be a little overwhelming. Especially when the moustached waiter won't stop waxing lyrical about the provenance of San Marzano tomatoes and you haven't the foggiest what Naples and Sicily have got to do with your dinner. Which is why we're here to offer you some guidance via this nifty little beginner's guide to the different styles of pizza out there. To help you navigate your way around the pizza hemisphere – and successfully distinguish between a New York, California, or Detroit-borne slice – we've enlisted the help of pizza historian Scott Wiener. Yes, Scott's a legitimate pizza historian. And, no, he's sadly not got a job opening going for a doughy understudy. Wiener is a true pizza connoisseur. He writes an award-winning column for Pizza Today Magazine, contributes to PMQ's Pizza Magazine, and regularly hosts pizza tours around New York City. The man's blood runs thick with marinara sauce. His aim? To introduce the general public to fantastic pizza and encourage them, between mouthfuls of molten cheese, to stop and consider the iconic food's fascinating history and the evolution it has undergone over the years. On top of knowing his crusts, Wiener is the author of 'Viva La Pizza! The Art of the Pizza Box', a book he wrote about his award-winning collection of pizza boxes. Yeah, did we mention that he's also got the Guinness World Record for having the largest collection of unique pizza boxes? Because he totally does. So, as a combination of our own knowledge with Wiener's, this guide should provide you with unflappable pizza comprehension as well as a handful of rebuffs at the ready for any dubiously facial-haired waiters. This is the real OG of the pizza scene. Dating back to Naples in the 18th century, Neapolitan pizza was (and still is) affordable and sold en-masse via street vendors. "The pizza is soft and pillowy with dark char spots because it's baked fast in a super hot oven," explains Wiener. "It is usually served uncut and eaten with fork and knife." Neapolitan pizza is classy stuff. 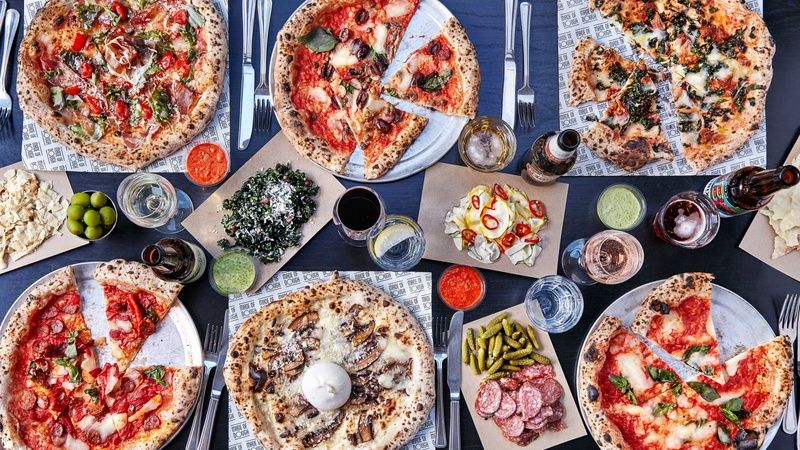 There's even a set of strict rules in place – proposed by the Associazione Verace Pizza Napoletana – as to what actually classifies as a Neapolitan pizza. Most people will tell you that in order to make a "real" Neapolitan pizza, it has to be baked in a wood burning oven, for one. But, according to the AVPN pizza police, the following are also mandatory requirements: it has be made with San Marzano tomatoes or Roma tomatoes (grown on the volcanic plains near Mount Vesuvius) and has to use Mozzarella di Bufala Campana – a specific type of cheese made with milk from the water buffalo raised in the marshlands of Campania and Lazio. If that sounds a bit pernickety, it's because it is. 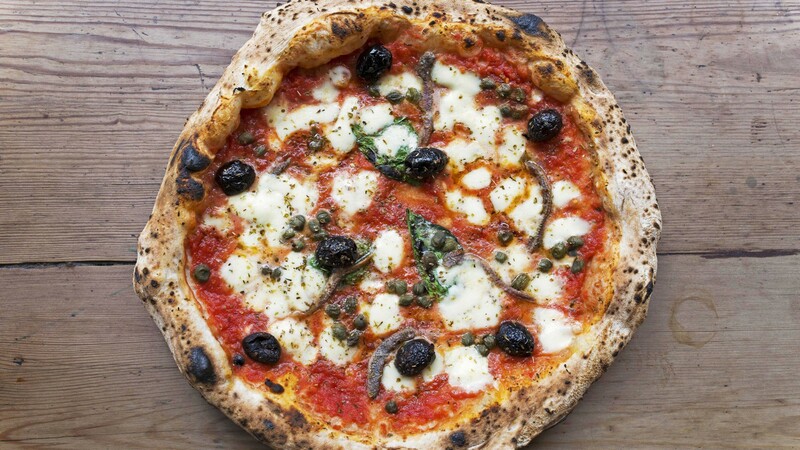 The pizza napoletana is a Traditional Speciality Guaranteed (TSG) product in Europe, meaning you can't really technically legally call it a Neapolitan pizza unless it meets that criteria. New York-style pizza can usually be spotted by its characteristically large size and thin hand-tossed base. It's the style you'll most often seen sold in individual slices to-go. "The New York slice," says Wiener, "is baked in a 288°C gas-fuelled deck oven, directly on the hearth, and topped with a simple crushed tomato or lightly seasoned sauce and low moisture mozzarella." The crust is thick and crisp, yet still elastic enough that it can be easily folded in half. The best way to devour a slice according to Wiener? "By hand, off a paper plate. Pizzerias that serve these are typically small and you don't spend more time there than you need. This style evolved to suit the needs of the on-the-go New Yorker so it's the city's perfect food." The style itself – a derivation of the Italian Neapolitan – originated in New York City back in the early 1900s thanks to an influx of Italian immigrants. The pizzaiola Gennaro Lombardi is often cited as the man responsible for the immense popularity of the New York-style, having opened the US's first pizzeria, Lombardi's, in 1897. Today, the dollar slice is still the dominant style eaten throughout New York, New Jersey, and Connecticut. Sicilian pizza, or the "grandma slice" as it's called by those in-the-know, is a bready and focaccia-like creation that first became popular in western Sicily around the mid-19th century. "What America calls Sicilian pizza is a modification of the Sicilian focaccia called sfincione," explains Wiener. "That's a thick, bready rectangle topped with tomato, caramelised onion, anchovy, bread crumb, and grated cheese." In fact, tomatoes weren't even included in its original incarnation, making it even more akin to bread than modern pizza. The grandma slice did, however, eventually reach North American shores in the slightly altered form of the thick crust, sauce and mozzarella-topped pizza that we recognise today. Just like your grandma, it's hella comforting. 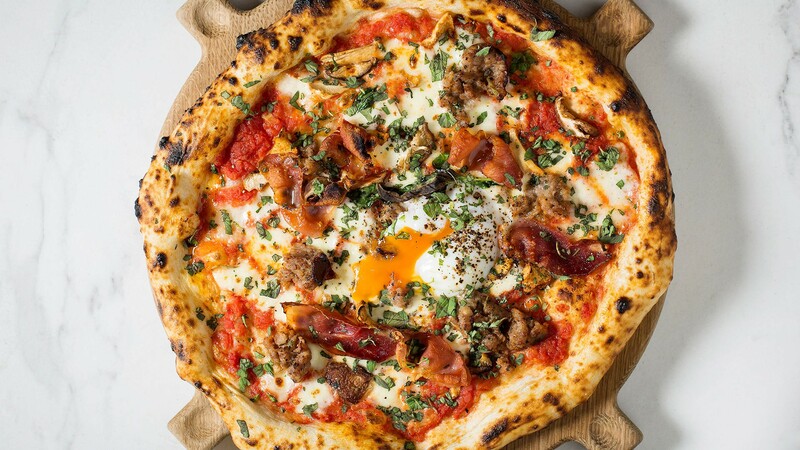 California-style pizza combines the physical elements of the New York and Italian thin-crust pizza with toppings that you'd more regularly find knocking about high-end Californian cuisine. "Alice Waters [of Chez Panisse] is the person to thank for the revival of fresh local ingredients on a pizza base," says Wiener, "this is the concept that goes back to pizza's origin in Naples but works much better in the lush central California landscape with great produce so readily available." Waters, alongside chefs Ed LaDou and Wolfgang Puck, innovated the pizza by adding an air of sophistication to the humble disc. Puck's iconic restaurant Spago is home to the notorious "Jewish Pizza" – a pizza dough that's cooked on its own before being topped with smoked salmon, crème fraîche, capers, and dill. It's the decadent dish that launched a thousands pies, countless imitators and even international chain restaurants such as California Pizza Kitchen. Is a calzone a pizza? I don't know. What I do know (courtesy of Wikipedia) is that it originated in Naples in the 18th century. I also know that Scott Wiener doesn't think it counts. "Calzone is a cousin of pizza, but not itself a pizza," he tells Foodism. Still, a calzone contains all the prerequisites of a pizza in our book: dough, cheese, tomato sauce, some form of delicious cured meat. The only difference is that a calzone contains its goodness within – like a mother pregnant with a delicious cheese and 'mato Christ child. At its most basic level, a calzone is a pizza folded in on itself and baked in the oven. Which is exactly the sort of thing you'd whip up during Fresher's week after smoking a little too much of the Devil's lettuce. And exactly the sort of thing we love to devour. So, we've got to dissent from our pizza expert here and state our allegiances firmly on the 'calzone is pizza' side of the debate. After all, it's what's on the inside that counts. Pizza al taglio is Italian for "by the cut", hence why hunks of the stuff are literally sold by-the-slice from busy counters. Al taglio pizza holds its roots in Rome and can commonly be bought at tratorrias throughout Italy. "It's Rome's on-the-go food," says Weiner, "this stuff is baked in long rectangles and usually has a high hydration dough, meaning it bakes up light and fluffy. Toppings are equally light and lovely." The large rectangular trays of pizza al taglio are generally sold in square slices according to weight. Prices are marked per 100 grams (or, perhaps, in our gluttonous case, per kilogram). It's a cheap, quick, and filling option that's perfect for tackling the lunch-time rush. Detroit-style pizza is a style of pizza first developed in, you guessed it, Detroit, Michigan. It is a rectangular pizza that has a thick crisp crust and toppings such as pepperoni and mushrooms. What makes Detroit-style unique is its extra thick and extra crispy crust. And its shape: unlike its circular pizza brethren, a Detroiter is served up as a rectangle. 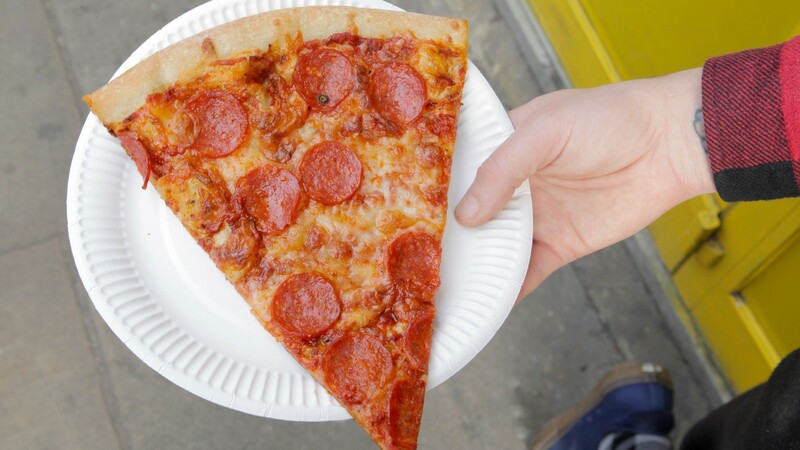 The shape of the pizza is the result of it being baked in the industrial parts trays originally used to hold small parts in the city's renowned auto factories. 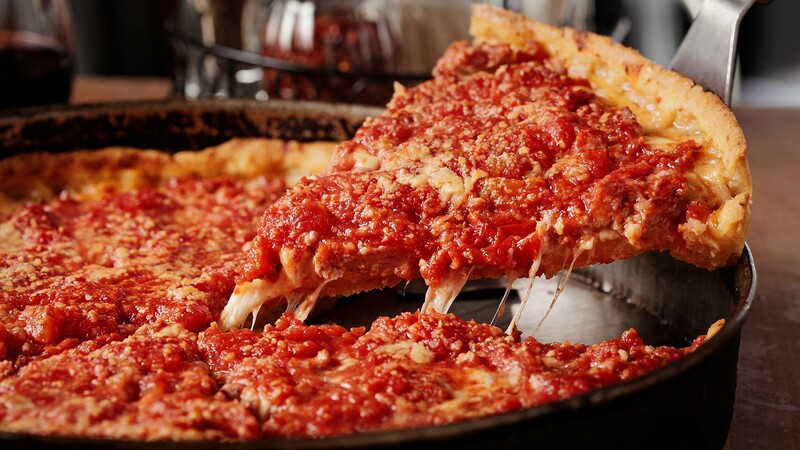 Chicago-style pizza rather unsurprisingly holds its origins in the city of Chicago. "Chicago usually gets labeled as a deep-dish pizza city but the reality is that there are more pizzerias selling more pizza in the thin tavern style. This is a round pie with a super dense crust that gets cut into squares. Way more people eat that than deep dish, which came about in the 1940s and has an aggressively fatty base that bakes more like a biscuit than a bread." The deep-dish was supposedly invented at Pizzeria Uno in Chicago, in 1943, by the joint's founder, Ike Sewell. The difference between deep-dish pizza and pretty much every other pizza out there is its super deep pie-like crust and plethora of sauce and toppings. Although the entire pizza is undeniably hefty – thanks to the mounds of cheese, sausage and pepperoni that are heaped on top – the crust itself remains thin and crisp. It's really more of a meat, cheese and tomato soup served in a greasy bread bowl than it is a traditional pizza. But, honestly, that doesn't exactly sound like a bad thing now, does it? "You have to eat this with a fork and knife," Wiener concurs, "and you probably should be close to home because you'll need to take a nap right after." While deep-frying a pizza might sound like something that's very modern (or, y'know, just very Scottish), the technique of flash frying a pizza dough before topping it with sauce and cheese is actually an ancient tradition in Napoli. 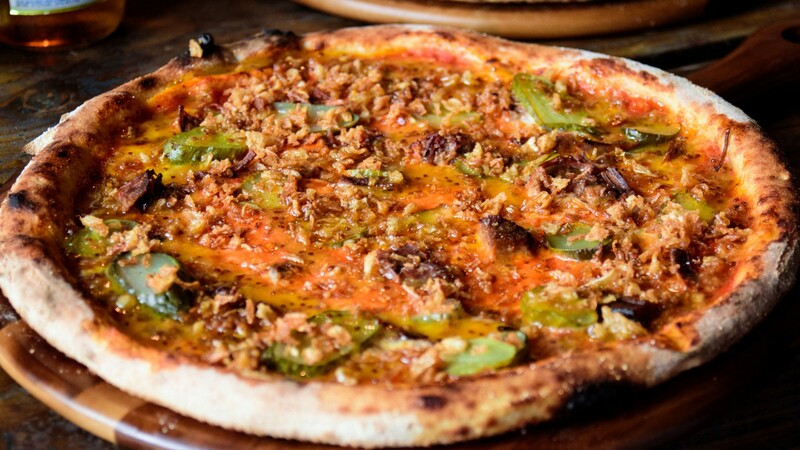 "Unlike everything else on the list, this isn't a regional style," says Wiener, "it's a variation on pizza that's essentially a fried dough that gets topped after the fryer and then slid into the oven to finish." The additional stage of frying the dough adds a crisp and crunch to the crust that simultaneously makes the base lighter and airier than your usual base. The application of toppings after the frying ensures the fresh tang of cheese and tomato don't get lost in the mix. But what does our expert think? "Is it a pizza? Is it a donut? If those are our two goalposts, can anything in the middle be bad? Nope. It's delicious!" All this and still more? Claim up to 30% off your pizzas on 9 February 2019 with our National Pizza Day offer from nationalpizzaday.co.uk. Find out more about Scott Wiener and his NYC pizza tours at scottspizzatours.com.